Want to make sure you never miss one of my daily Tech Tips? Do you find my Tech Tips useful? Do you enjoy seeing the “Picture of the Day” that I post every morning? Join my Rick’s Tech Tips Facebook group! Not a fan of Facebook? Join my Rick’s Tech Tips LinkedIn group instead! If you use Snapchat, think twice before using a third-party app with your account! Snapchat is a popular social networking site that lets users send photos and videos to other Snapchat users that “self-destruct” after they they are viewed. Many users assume that since Snapchat works that way, they can safely send “personal” pics and videos to their friends for quick, one-time viewing. But as explained in this post, that isn’t really the case at all. The answer lies in a small box called a Wireless Print Server. If your PC is like most others out there today, it probably has tons of programs, apps, toolbars and small utilities running in the background. And it’s quite possible that all of those running processes are causing your system to run about as fast as a snail fitted with a full body cast. 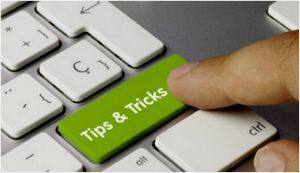 You have probably read somewhere that removing unused programs can help speed up your computer, but which of the programs listed in the Control Panel’s “Uninstall a program” list can you safely remove? Today’s “Picture of the Day” features White Island, the most active volcano in New Zealand. I hope you like it. Want to make sure you never miss the “Picture of the Day” or any of my tech tips? Click here to join my Rick’s Tech Tips Facebook Group! Did you know that Amazon has thousands of Kindle ebooks on photography, from beginner to advanced – and every level in between?